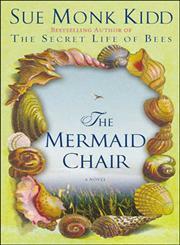 The Title "The Mermaid Chair A Novel" is written by Sue Monk Kidd. This book was published in the year 2005. The ISBN number 0670033944|9780670033942 is assigned to the Hardback version of this title. This book has total of pp. 352 (Pages). The publisher of this title is Viking Adult. The Mermaid Chair A Novel is currently Available with us.